Editor’s Note: I invited Jess Bell to write about how she uses Flipgrid with her students. There are many new education apps and programs right now, and it can be hard to know which tools will be the best fit for you and your classroom. One of the best new tools I’ve started using lately is Flipgrid. Flipgrid, whose tagline is “amplify student voice,” allows students to record and post videos as part of a video discussion forum. When I first heard about Flipgrid, I was intrigued, but was unsure how it would fit into my classroom. I teach HS English and English as a New Language. 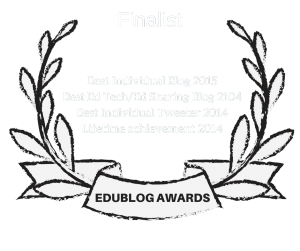 After exploring Twitter (@flipgrid) and several ed blogs, I figured I would give it a try. Like with most technology, some students love it and some students don’t. Many students like the opportunity to record videos and share their thoughts. My ENL students are practicing their listening and speaking skills as they record their own response and watch other student videos. I find students who don’t like it tend to be shy, and warm up to it with some practice. This what a grid looks like when students (or participants) record a video. They can read the description, watch the video if one is ready, and then click on the green + symbol and start recording. When recording you see yourself and restart the video if you make a mistake. There is also a sticky note option on the screen to record notes for yourself. When finished, there are stickers and emojis to add to their video. My HS students often record at home, and I like seeing how relaxed they are at home. There are many ways to use Flipgrid in your classroom, even if it’s not an ENL classroom. 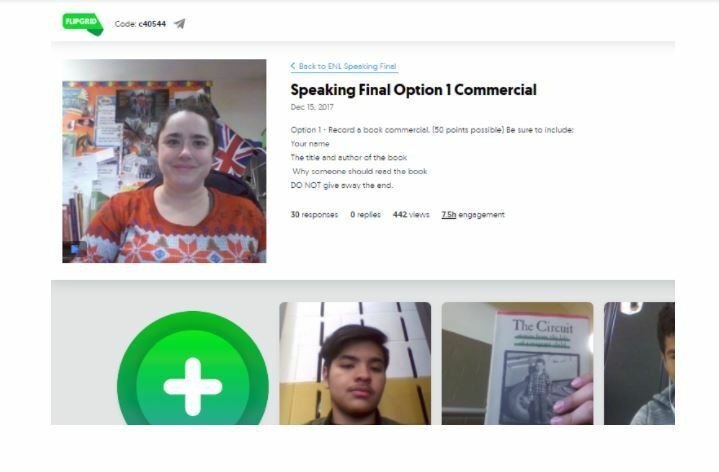 I’ve had students record book commercials, letters to the author, respond to an essay question, talk about their cultures, introduce themselves to the classroom, watch instructions on a book critique and then record one….there are many possibilities (check out this blog from flipgrid about you can even use it outside the classroom). 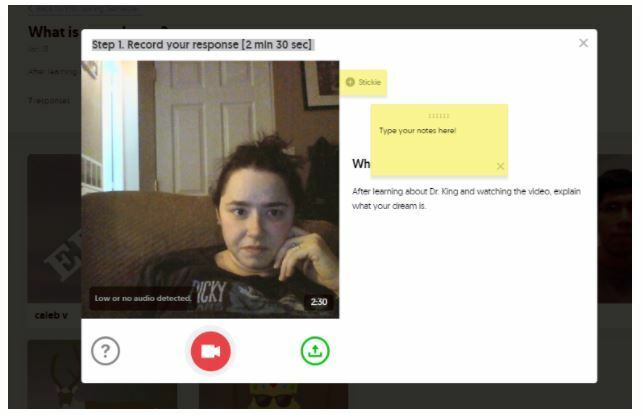 I used Fligrid to keep in touch with a student who was homebound for several weeks near the end of the semester – and her classmates sent videos back as well. I’ve also found it useful for professional development opportunities so teachers can share their voice and experience it as students do. If you try Flipgrid and you’re interested in additional features associated with Flipgrid Classroom, you can enjoy longer videos, students can record response videos to student videos, customizable rubrics, scheduling topic launch and freezing, and unlimited topics and girds. Flipgrid has great resources to help teachers get started and a very supportive online community. 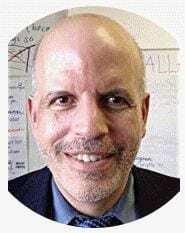 I’m looking forward to some new options this semester as my students are familiar with the platform including being flipgrid pals with a younger grade, practicing for our socratic seminars,how to participate in academic conversations, recording written responses as fluency practice, and sharing ideas about changes they’d like to see in our communities. I enjoy being able to search their blog and find new suggestions through Twitter. Not sure. You’ll have to contact them.